Ulysses Grant's father Jesse could pinch a penny as well as any man alive. Born near Greensburg, Pennsylvania, on January 23, 1794, Jesse learned the hard lessons of poverty as a boy. In 1805, when his mother Rachel Kelly Grant died, young Jesse's family fell apart, His father, Noah Grant, couldn't support six children on his profits as a shoemaker. So at age 11, Jesse was sent out to make his own way. After several years as a hired hand, he began working for George Tod, a Youngstown, Ohio, judge and politician. In the two years he spent at the Tods, he learned to read, and developed a taste for refinement and wealth. Of the two skills Jesse had acquired -- farming and tanning -- he chose tanning as the best route for his new dreams and apprenticed himself to a Deerfield tanner for two years. Later, he moved to Maysville, Kentucky, to live with his half brother, Peter Grant. Peter made his living tanning leather. He taught Jesse what he knew, and Jesse became accomplished at the trade he would practice for most of his life. When Jesse was 26 years old, he became a partner in a tannery in Point Pleasant, Ohio. At age 27 Jesse married Hannah Simpson Grant. A year later, Jesse's first son, Hiram Ulysses Grant, was born. At the time, fathers often took their sons into business with them. Jesse Grant was the kind of man who expected his children to help pay for their keep. But young Hiram hated the stink of the tannery, and the hard work that went with it. He preferred to work with horses, and that suited Jesse just fine. If the boy could make money by driving horse teams to plow and haul firewood, it made sense to let him do it. The ever-practical Jesse saw early on that Hiram had no talent as a businessman. Without bothering to ask the boy's opinion, Jesse arranged for him to attend the United States Military Academy at West Point. By then, Jesse had two other sons who could do tannery work. And an army career would keep Hiram from starving. 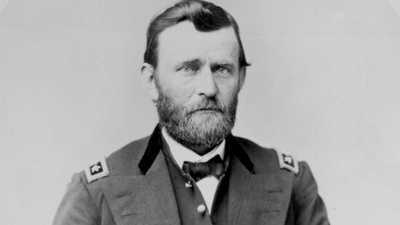 At West Point, Jesse's oldest son earned a lieutenant's commission and took a new name -- Ulysses S. Grant. It seemed to Jesse like a good career lay in his son's future. So when Ulysses resigned from the military in 1854, Jesse tried to reverse the decision. He wrote to Secretary of War Jefferson Davis, asking him to reinstate Ulysses. Davis turned down his request. Jesse Grant prospered as a tanner by making shrewd business deals, working hard, and holding on to his money whenever he could. But he knew Ulysses could never make it outside the military, and he was right. For years, he watched his son struggle to make ends meet. And in 1860, when Ulysses was on the verge of bankruptcy, Jesse gave him a job in his leather goods shop in Galena, Illinois. When Ulysses went on to the White House, Jesse visited often. Newspaper reporters found him eager to comment on the business of the day. Jesse had always loved politics. 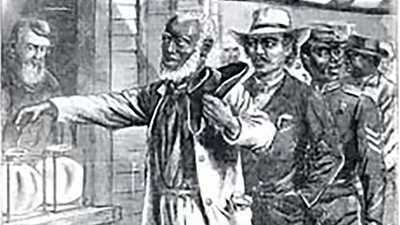 In his younger days, he had written for an abolitionist newspaper and even served a term as mayor of Georgetown. 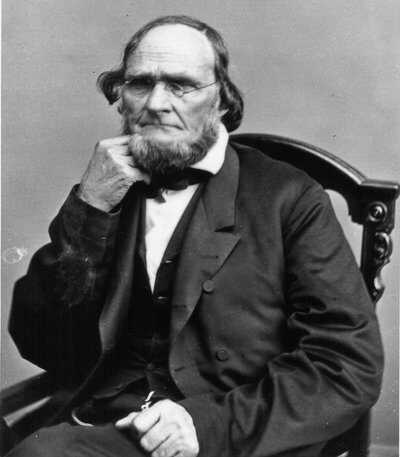 But his son Ulysses did not always feel so happy about his father's comments, which probably continued until he died in 1873, at the age of 79. If Jesse Grant loved talking to the press, his wife, Hannah Simpson Grant, hardly talked to anyone. Relatively little is known about Hannah. She was born in 1798 to John and Rebecca Simpson, a prosperous couple who owned 600 acres of land in the Ohio Valley. Hannah spoke seldom, even to her children, and certainly not to reporters, as one found out when he unsuccessfully tried to interview her. Hannah gave Ulysses his quiet nature. A pious woman, she was on guard against pride, and chose to stay silent rather than risk saying something prideful. When Ulysses accomplished something, she said nothing. She never visited Washington during her son's presidency — not even for his inauguration. After the death of her husband, Hannah moved in with her daughter Virginia. Hannah kept her silence until she died in 1883. 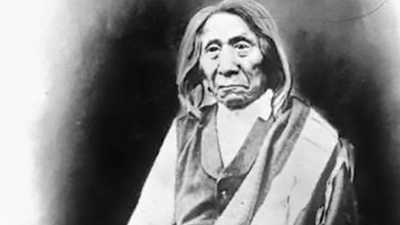 Red Cloud, chief of the Oglala Sioux, fought unsuccessfully to save his people and their land from being seized by whites. For much of his life, Grant failed at every occupation he tried. But his remarkable talents as a soldier and leader saved his country from falling apart.